As promised earlier this week on Instagram, I’m back to share our dining room progress with you. This room is definitely looking a lot better than when we first moved in. However, there are still quite a few things that we would like to do in this room before we would consider it finished. Let’s check it out. 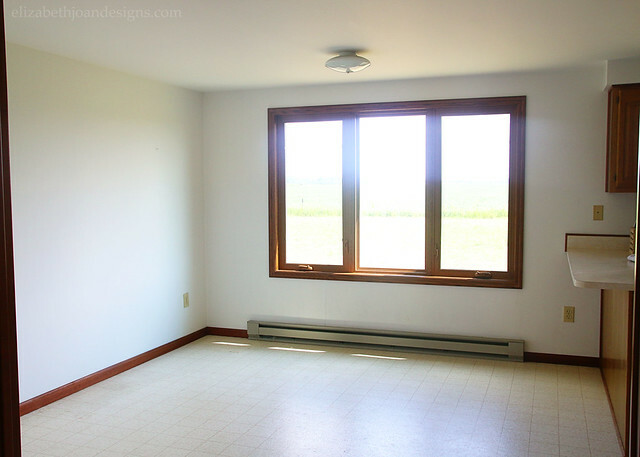 Here’s what our dining room looked like on move in day, before we filled it up with furniture. I also decided to draw some lines on the wall to mimic the shiplap-look. 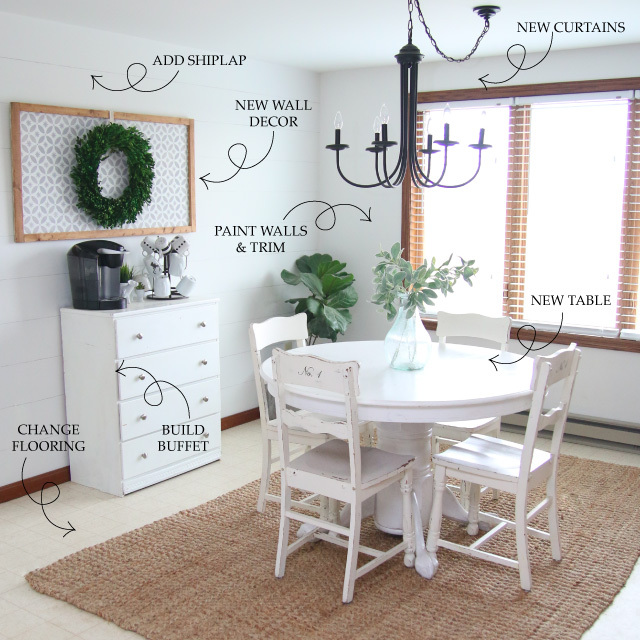 I’m a bit of a commitment-a-phobe when it comes to major home changes, so when I saw that my blogging friend, Lauren from Bless’er House, had done something similar, I thought I would give this a try. 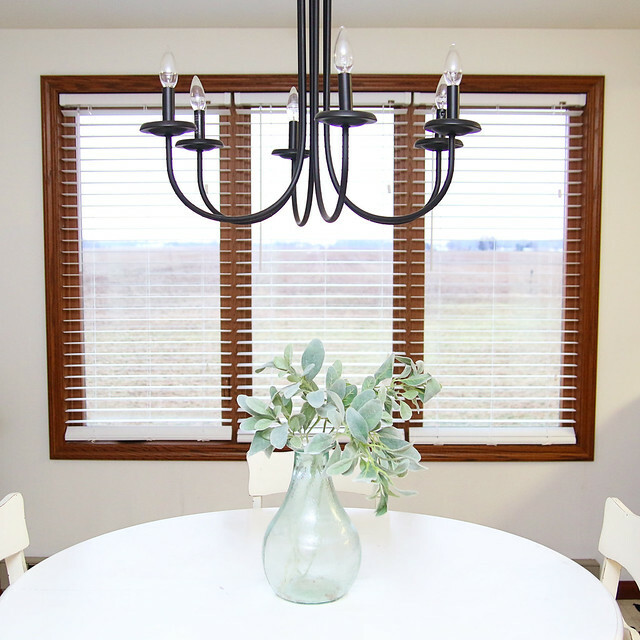 I know that some people are so over shiplap, but we still think it is pretty awesome. Plus, this wall treatment was FREE! 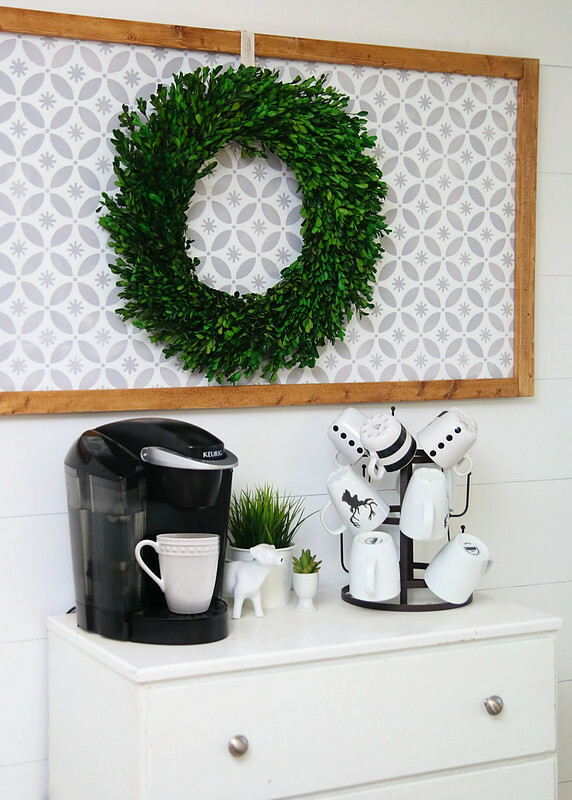 Our coffee bar was moved over to the longer wall underneath our stenciled wreath display I made for the holidays. 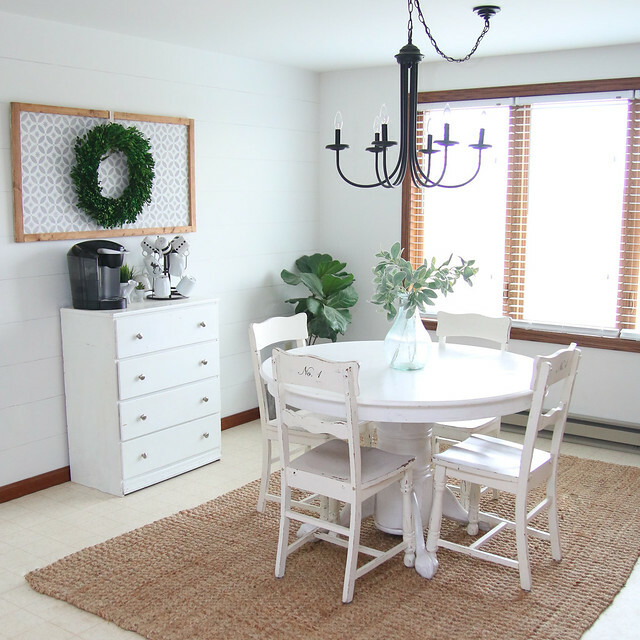 What do you think of the current state of our dining room? We are pretty happy with where things are right now, but are looking forward to more changes!